HEALTHeME CEO Dr. Guy Rachmuth has earned international recognition for his collaborative research at Harvard-MIT, which will be featured in a landmark paper to be published in a renowned science journal. Along with a team of researchers, Dr. Rachmuth helped to design a computer chip that mimics how the brain’s neurons adapt in response to new information. This groundbreaking research on how a brain learns and remembers will be unveiled in the Proceedings of the National Academies of Sciences. The MIT researchers plan to use their chip to build systems to model specific neural functions, such as the visual processing system. Such systems could be much faster than digital computers. Even on high-capacity systems, it takes hours or days to simulate a simple brain circuit. 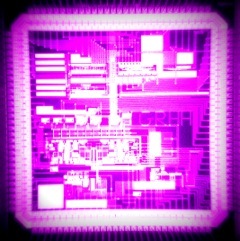 With the analog chip system, the simulation is even faster than the biological system. Dr. Rachmuth said that another potential application is building chips that can interface with biological systems. This could be useful in enabling communication between neural prosthetic devices such as artificial retinas and the brain. These chips could eventually become building blocks for artificial intelligence devices, said Dr. Rachmuth. Harvard trained neuroscientist Dr. Guy Rachmuth, co-founder of HEALTHeME, develops the algorithms and artificial learning capabilities of the HEALTHeME engine. He holds a Ph.D. from Harvard University in biomedical engineering with a focus on neuroplasticity – how the brain rewires and adapts in response to experience. He is a research affiliate at the Harvard/MIT Division of Health Sciences and Technology (HST). Why you binge and how to syop. Our Favorite Yoga Poses For Your Legs and Glutes. Link between weight gain and stress. Ball workout for the best core! Read This Before You Weigh Yourself!